I promised you a tutorial, and I’m keeping my promise! This is a fairly simple quilt to whip up, and if you ever want to make an Aussie Hero Quilt, (or a quilt for service men/women from your country!) then this will give you the perfect measurements. If you wish to make it bigger, then of course, just make some more blocks to add to the width and/or length! But for today’s tutorial, we will end up with a quilt measuring 42″ x 70″ – the required size for an Aussie Hero Quilt…… Advance apologies for my not so great photos of the process! 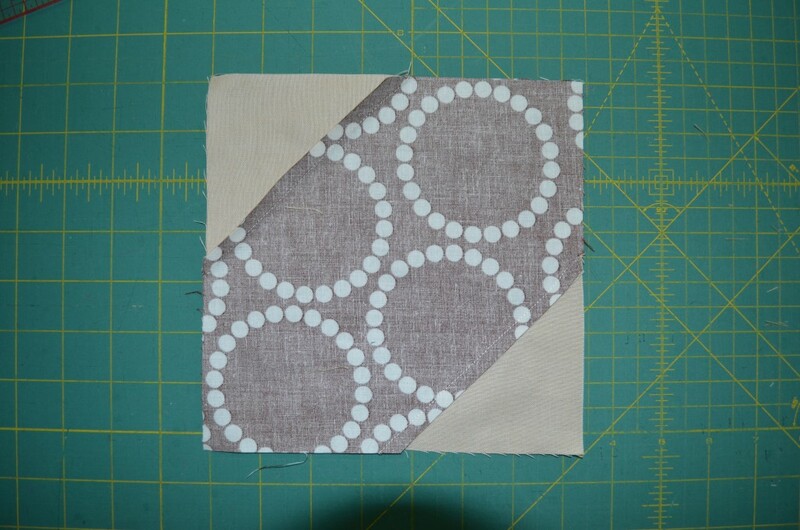 Place a background square on the corner of a print square, and sew diagonally across your small square. A great little tip is to move your needle one little blip to the right – so if you have a line marked, you’ll be sewing just a tad next to it. This helps when squaring up! 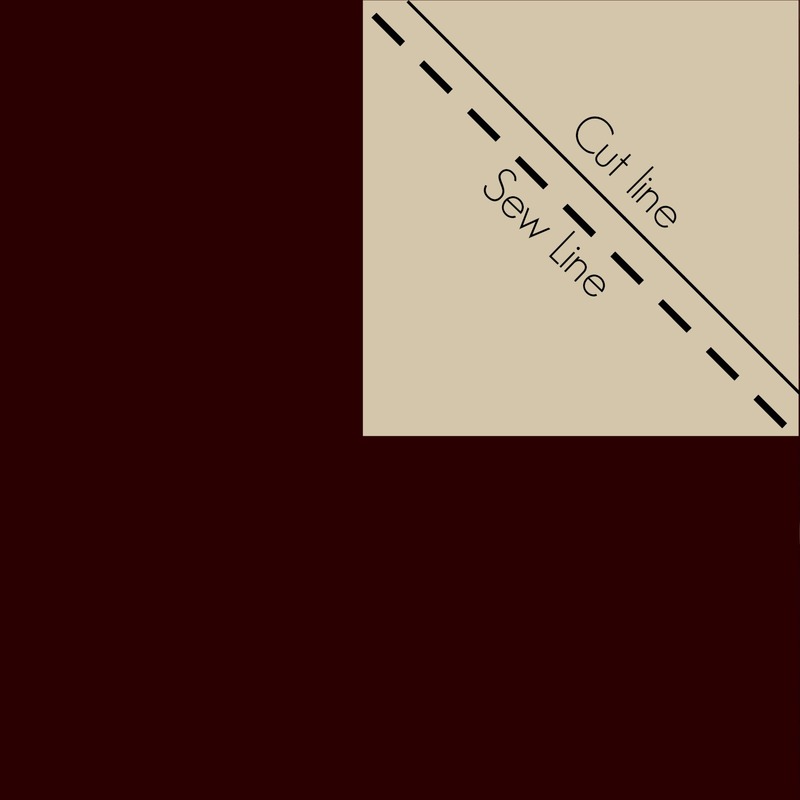 Once you have sewn your background squares on, you will then trim them a 1/4 inch from the sewn line – please see diagram above. Once trimmed, press the triangles out to form your block. And just for interest’s sake, here’s what it looks like at the back once pressed. Your blocks can be trimmed if required, but should measure 7.5″ square. Repeat this whole process for all 54 blocks! Chain piecing will be your best friend! Now, there are a plethora of ways to incorporate words in to a quilt, but my favourite way is to paper piece! And my favourite alphabet patterns are by the wonderful Kristy at Quiet Play. 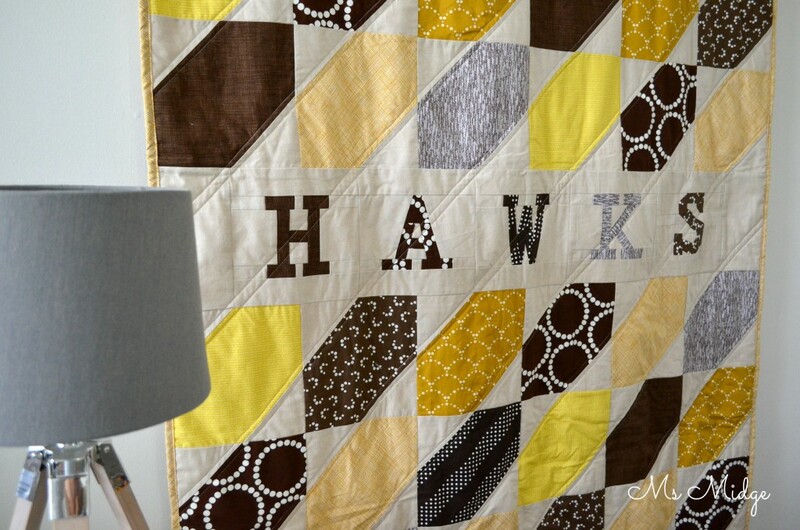 I’ve used the “Just My Type” uppercase font in my Hawks quilt. Kristy has very generously supplied me with a 30% off coupon if you’d like to buy your own set HERE. Just use coupon code – QP5K – at checkout! This coupon applies to the whole store, so go crazy! COUPON VALID UNTIL 5TH OF MARCH. I printed my letter patterns out to the 7.5″ size, but there are directions with the pattern to make them a range of sizes, which will obviously depend on how many letter you want/need in your quilt. 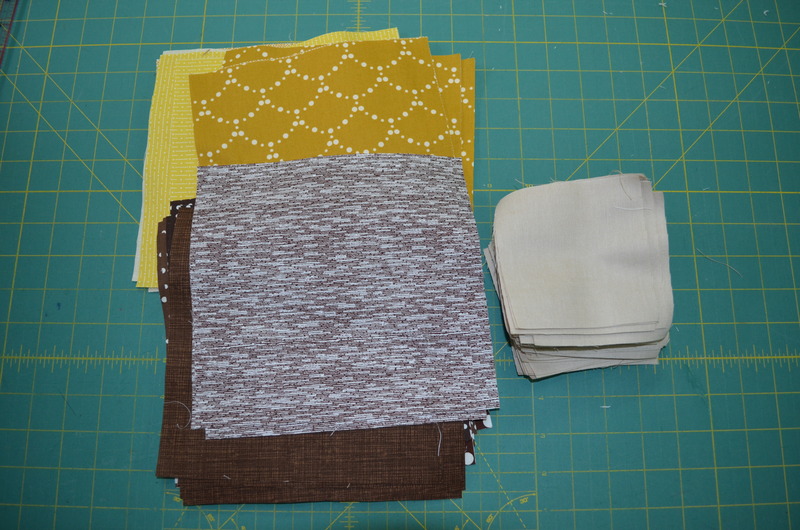 If you’ve never paper pieced before, these are really quite easy (as are most of Kristy’s patterns). 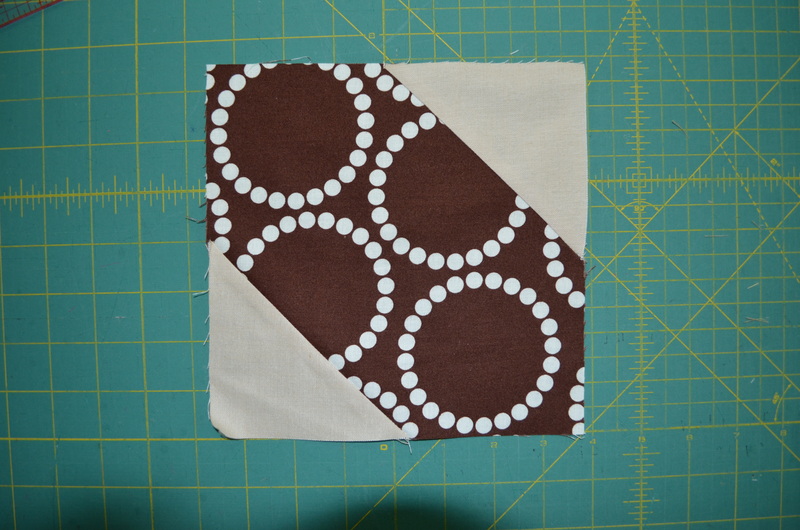 But here’s a great tutorial by Alyce at Blossom Heart Quilts. 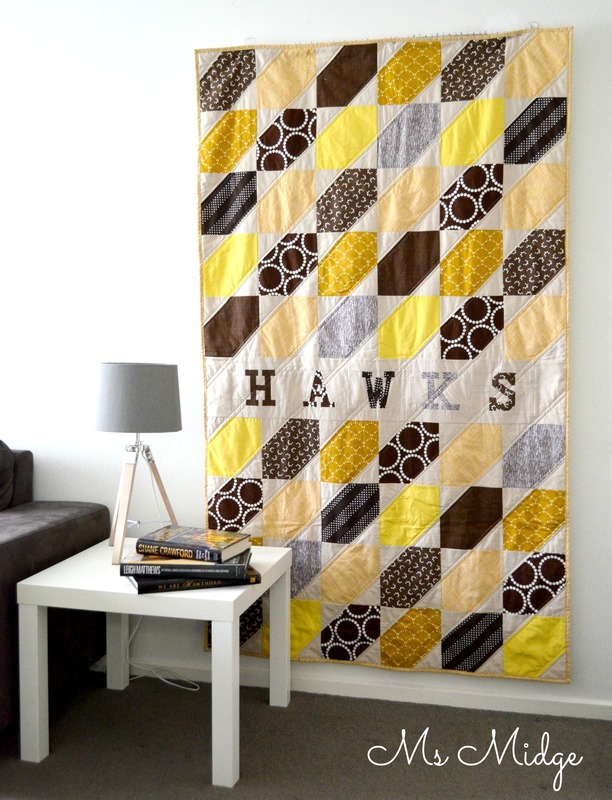 Once you’ve made up your lettering, you want to join them all together, and if need be, add some background fabric to either end, making the row 42.5″ in length. Lay out all 54 print blocks in the combination you’re after, and sew in to nine rows of six blocks. Then you will sew all of your rows together, inserting your lettering row where you wish! Give it all a good press, then it’s time to baste, quilt and bind! BAM! You’re done! Easy yes? Now, if you happen to make one yourself, please let me know by tagging me on Instagram or shooting me an email! 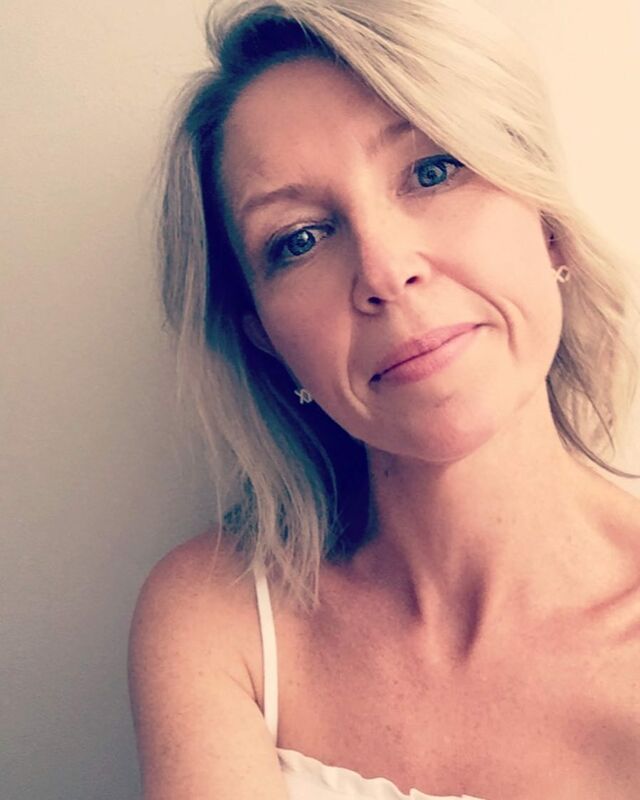 I’d love to see your interpretation!